The famous Metrokane Houdini Corkscrews now has a vertical companion. Like the oringinal Metrokane Houdini Corkscrews, the Mertokane Red Vertical Houdini Corkscrew pulls a cork in 3 senconds,ejects the cork automatically and carries a 5-Year Warranty. 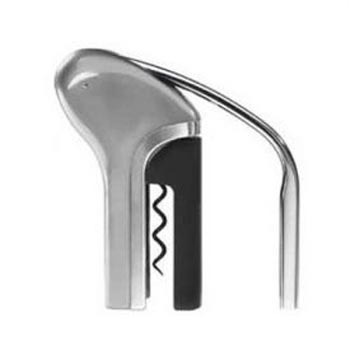 The Metrokane Vertical Houdinin Corkscew has a die-cast metal handle and comes in the three best-selling colors of the orginal verison of the Metrokane Houdini Corkscrews.